Direct mail marketing across the Cape & Islands is essential to your company’s success and the list you send to is the most important piece of any direct mail campaign. At Accurate Letter, we have the tools, knowledge and experience to get you noticed! We ensure that your mailing is sent to the best list available! 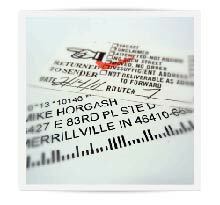 Our mailing solutions will save you time and money, but our focus is to increase your ROI. We have expertise in mailing services on Cape Cod, and we not only guarantee you the best price in the industry; but also that your job will get mailed right! Learn more about our mailing services and how we can assist you. Accurate Lists ... That SAVES YOU MONEY! Data Processing is important in any mailing campaign because the data used for the campaign is so crucial. If your data is not accurate or complete, you will end up wasting valuable time and money on mailing to the wrong clients/prospects. Our Data Process Program will clean and identify any incorrect addresses by using our state-of-the-art NCOA & CASS certifying systems. With our software, we are also able to provide all necessary postal pre-sorts, along with producing the tray tags and the postal reports required by the USPS to give you postage discounts. Data Processing allows us to guarantee that we will provide you the most comprehensive, up-to-date list available, maximizing postage discounts and savings on your print dollars. USPS Postage for 17.5 cents each and no mailing list required! If you currently mail postcards for your business and target your customers by a geographic area the this new mailing program by USPS is for you. 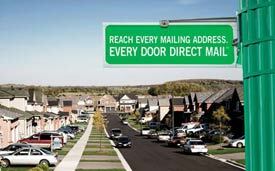 Every Door Direct Mail is a new promotion being rolled out by the US Postal Service that enable regular retail businesses to mail at an astounding 17.5 cents per piece without even needing to have a mailing address. 6.25x9 80lb. Coated Cover - Our most economical postcard designed to keep costs down while still providing excellent results. .25x11 80lb. Coated Cover - This popular size is an industry standard providing excellent visibility. 8.5x11 100lb. Coated Text - Provides maximum visibility, used for any type of promotional needs. 11x17 100lb. Coated Text - Popular 4 page Newsletter/Flyer for advertising multiple products. Select your design. The most common sizes we recommend are 6.25 x 9. All of our postcards are printed on 80# Coated Cover. Flyers are printed on 100# Coated Text. Select your desired neighborhoods. Mail by radius, carrier route or zip code ... whatever works best for you. We provide carrier route total counts for your selection. Business addresses may be excluded if you wish. Give your approval. Approve design, confirm your order and make your payment. We will take it from there! Options - Customer may elect to have postcards mailed directly to the and customer will deliver to post office and pay for postage at time of deliver. The main feature of Digital Printing is the ability to leverage Variable Data with each printed piece. Variable Data Printing (VDP) is the process of customizing and personalizing your print materials to your audience. The most important piece of any mailing is the Data used. If your data is not accurate or complete, you will end up wasting valuable time and money on mailing to the wrong clients/prospects. We can provide delivery to local Cape Cod post offices.